Picking out the right pair of sunglasses isn’t as easy as it may seem, especially if you don’t know what you are looking for. It may be difficult to find a model that complements the shape of your face in a broad range of designer sunglasses. Therefore, the first thing to do is determine the shape of your face. It will be easier to find the ideal pair of sunglasses if you know your face type for sure. Fashion has long gone beyond the generally accepted stereotypes. Today, sunglasses are an integral part of modern style. Calvin Klein, Giorgio Armani, Bvlgari, Chanel, Gucci, Dolce & Gabbana, Prada, Ray-Ban, Puma – a number of world-renowned brands can be found in the world of optics. If you are a fan of any particular designer brand or high-quality models, it will not be difficult to find the spectacle frames and sunglasses for your liking (just like Porsche Design sunglasses). You will be offered a wide choice of collections from various designers in any optical shop or online store. But how to choose fashionable sunglasses that will protect your eyes from the sun (including harmful ultraviolet radiation) and make you look more attractive? Here are some tips for choosing designer sunglasses. First of all, sunglasses are designed to protect the eyes from too bright sunlight, including harmful ultraviolet radiation. In order to protect the eyes from ultraviolet, high-quality and fashionable sunglasses provide full UV filtering. Therefore, if you need glasses to protect your eyes, try to choose large frames (large lenses) with wide temples, and frames, which are located closer to the face. This means they offer more protection for your eyes. In addition, try models with high impact resistance, which will help protect your eyes. Pay attention to the right frame shape – curved frames offer the best possible protection. However, keep in mind that they are not just as good as to provide the best optical and visual quality. 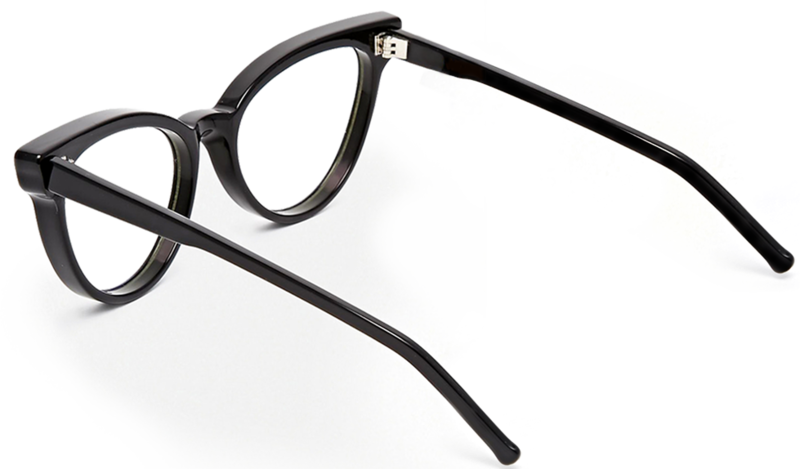 However, many designer eyewear brands produce special lenses for curved frames. If we talk about style, modern designers now offer a fresh concept for sunglasses with decorative elements, crystal-studded and metal plate eyeglasses. Another trend is represented by fashionable sunglasses made from a single piece of transparent plastic and well-known Aviators. Photochromic lenses are a good choice for sunglasses as well. Under ultraviolet sunlight they become dark colored as ordinary sunglasses, and quickly lose their color and become fully transparent when the person goes back indoors. High-quality, stylish designer sunglasses match your face shape, clothes and jewelry. They can surely help you add more charm, grace and elegance, but also protect your eyes. High-quality sunglasses may hide or, on the contrary, highlight the beauty of your eyes.